Perfect for the flexible need of sleep space in your home, the Edmund Collection provides a stylish and functional option to extend your hospitality. The plush framing and rolled arms of the gray-covered button-tufted twin daybed lends to the classic look of your home. Stored discretely below the main sleeping platform is a roll-out trundle. 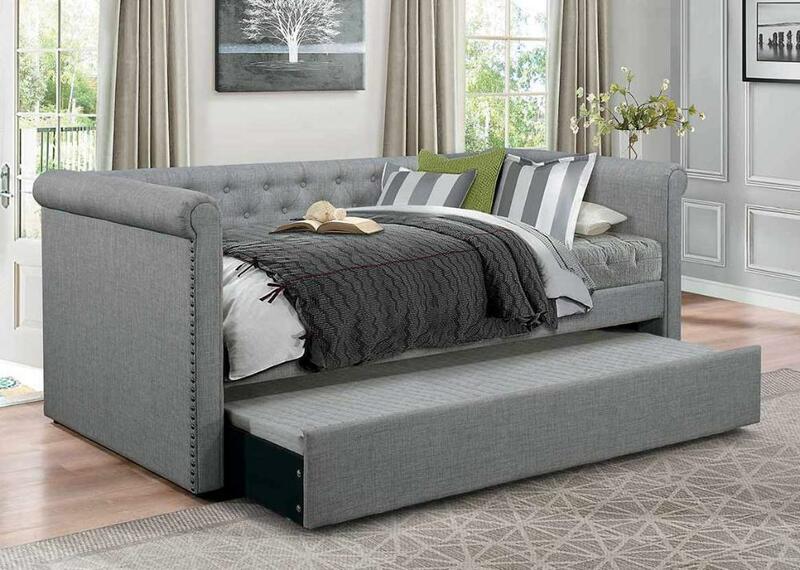 FEATURES: Grey Finish ~ Classic Style ~ 100% Polyester Fabric Cover ~ Button Tufting / Nailhead Accents ~ Includes Trundle Unit.